Much of tourism centres on food, culture, leisure, art and natural beauty, so what about the world of work? We're not suggesting you put in a quick 12 hour shift serving cocktails in Ibiza, we're talking about the incredible legacy of that most human of activities: industry. Industrial tourism has always had its adherents, people nostalgic for the age of steam, or keen to understand the conditions their ancestors toiled in. Yet in recent years, industrial tourism has expanded as sites have become more visitor friendly and marketed as things that define an area, rather than simply being located there. Germany has perhaps not unsurprisingly grasped this concept with enthusiasm. The state of North Rhine-Westphalia, which takes in the heavily industrialised area of the Ruhr, is the most active in bringing visitors face-to-face with the factories and infrastructure that has given the region much of its wealth and power. Europe's largest gasometer is the jewel in the crown of North Rhine-Westphalia's offering. Built in 1920 to supply nearby coking plants, at 117 metres Gasometer Oberhausen still towers above the surrounding landscape. 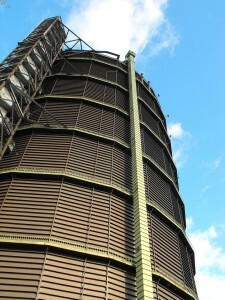 Its giant cap, which once floated inside the cylindrical building as gas volume when up and down, is now fixed permanently at four and a half metres. This provides a floor for exhibitions and concerts, where the structure's unique acoustics are a sought-after feature. 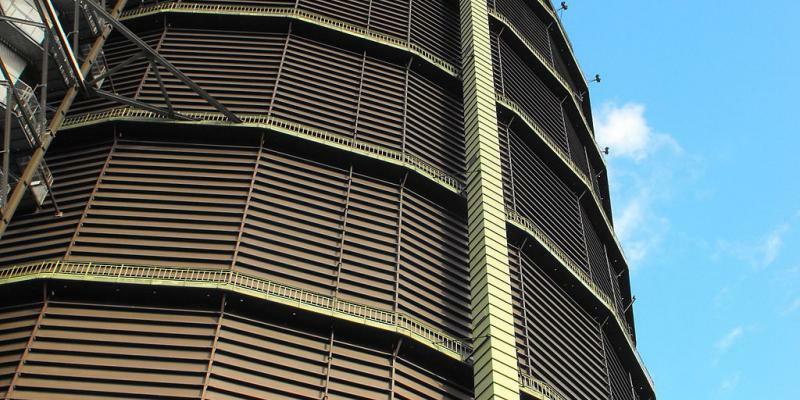 A panoramic lift on the outside makes it, as the state says: "A prime example of the potential for transformation of unusual industrial facilities." And to think, they nearly demolished it. The Zollern Colliery is an unlikely cathedral of the industrial age. As you approach it, the main building has the appearance of some kind of religious structure. Red brickwork and ornate decoration set around a grassy square give little clue as to its true purpose - although the pithead machinery flanking it gives the game away. 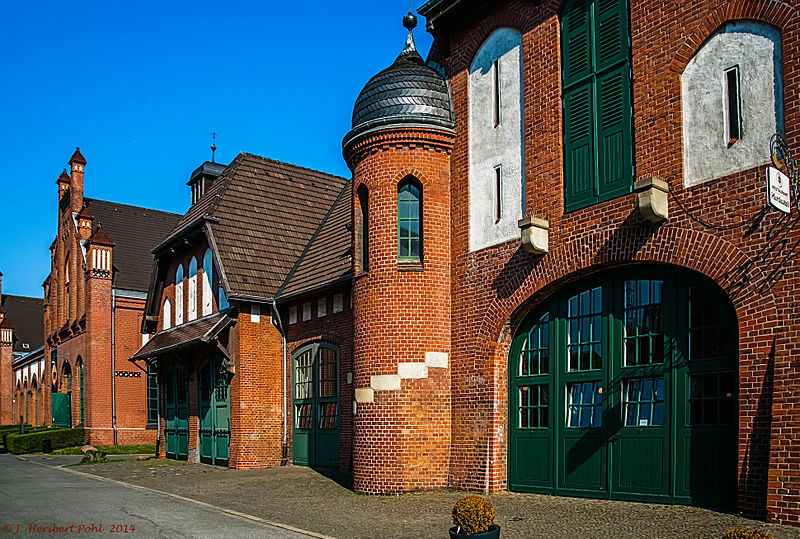 Located in the Bövinghausen area of Dortmund, the buildings were designed by the architect Paul Knobbe and the art nouveau entrance is by Bruno Möhring. When completed in 1904, the colliery was at the absolute cutting edge of industrial design, with its own fire station and baths for the miners that were the last word in luxury for workers at the time. Today the Zollern Colliery serves as a state museum of social history, shedding light on life and work at the peak of the Ruhr mining industry. 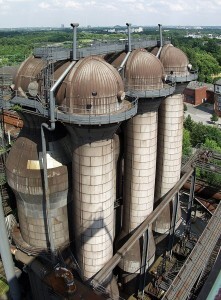 The Landschaftspark Duisburg-Nord is regarded as the world's best conversion of a former industrial site - in this case the Thyssen ironworks - into a leisure area, all while retaining features of the area's past. The 180 hectare public park has alpine climbing gardens created from ore storage bunkers, a viewing platform sits atop a 70 metre former blast furnace, chimneys are now decorated with captivating lights and the Piazza Metallica consists of dozens of steel plates from the foundry pits turned into an artistic performance space. North Rhine-Westphalia has succeeded in taking its grimy past and turning it into a thing of cultural significance, a tribute to those who toiled and a fascinating diversion for tourists. View our holiday houses in Germany.